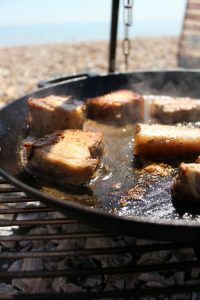 Barbecued Beer Drenched Pork Belly Slices – taking all the fear out of cooking meat on the barbecue, roast in advance and cook over campfire later. If you are a little nervous about cooking a large joint of meat on the barbecue or firepit then this recipe will dispel those nerves. 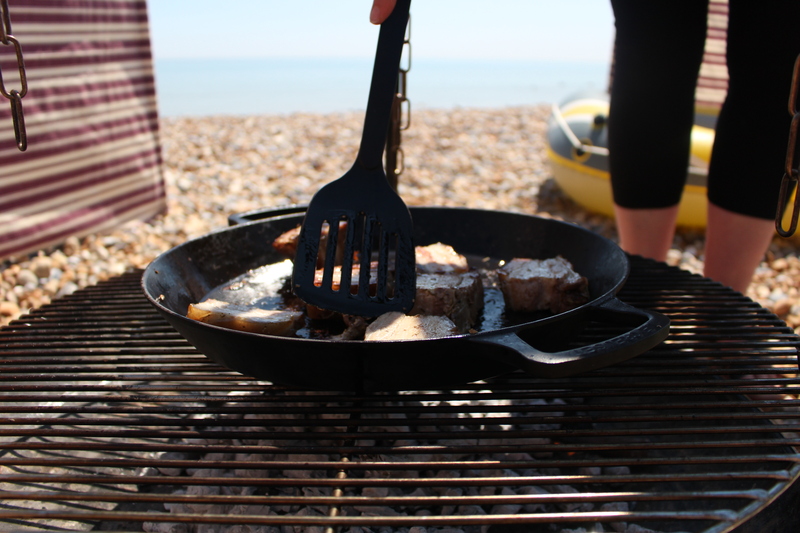 I cheated and cooked it at home first then finished off on the firepit later on the beach. I don’t really see it as cheating but it did mean that I didn’t have to nurse our dinner along for most of the day to get that tender, juicy meat that you can cut with a spoon instead I could lark about with the rest of my people. All worries of undercooking dispersed. 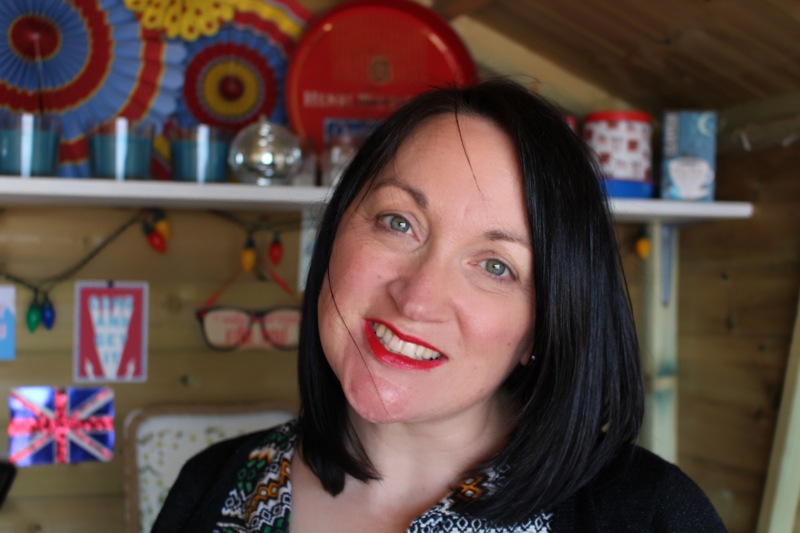 Having all four of us in one place for any length of time is rare and even more so as our boys get older so chatting, giggling and splashing around in the dingy won over poking, prodding and watching the dinner cook on repeat. You don’t even have to wait for the coals to get to preferred temperature; you can just as easily go from crazy hot stage as you are only warming and cooking off the alcohol in the beer glaze. The long slow precooking stage can even happen the night before then cover and keep in the fridge until needed. 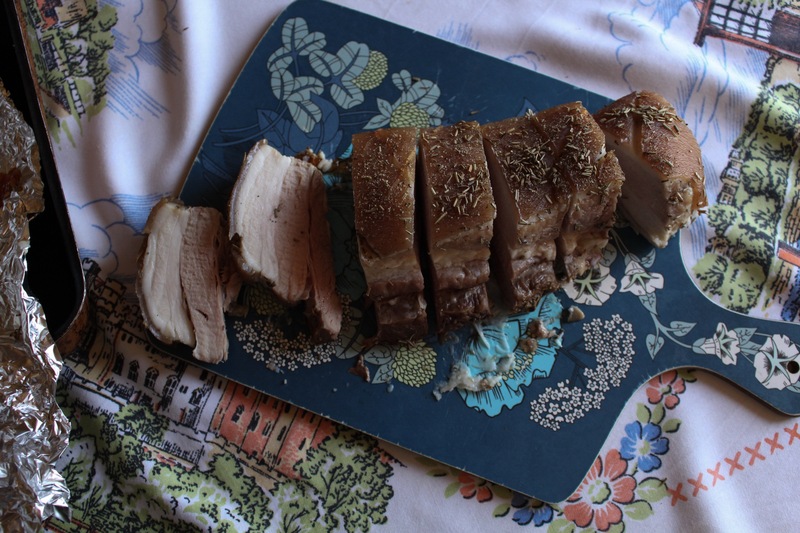 Pork Belly is a very forgiving joint and can handle this type of neglectful selfish cooking. Serve with griddled asparagus and new potatoes, these can even served cold and cooked in advanced or even cut up and fried off in the sticky beer glaze juices – why didn’t I think of that at the time! Beer marinated pork belly roasted then sliced and barbecued in a sticky beer glaze. Rich and juicy and none of the hassle of guessing if it's cooked yet. Place the pork belly in a deep roasting tray along with 2/3rds of the beer, sage and garlic cloves, skin side up, cover and place in the fridge for a good 2 hours to marinate. 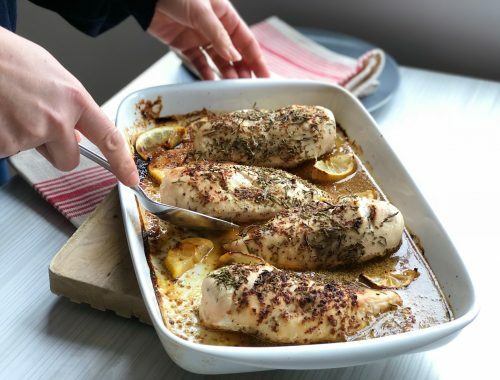 Remove from the fridge cook in the oven 140C/275F/Gas Mark 1 for 60 to 90 minutes. Allow to cool and if cooking later place in the fridge. Once cool or from cold, slice into thick slices and place in a hot pan to brown on each side. Once on its last side add the remaining beer and let it bubble away for about 5 minutes. Remove from the heat and allow it to rest, which gives you perfect time to griddle your veg. Perhaps this would also taste cooked marinated and cooked in cider? Doesn’t that sound delicious. See my Chicken Wrap recipe is another prepared in advance and easy to cook beach cooking recipe. 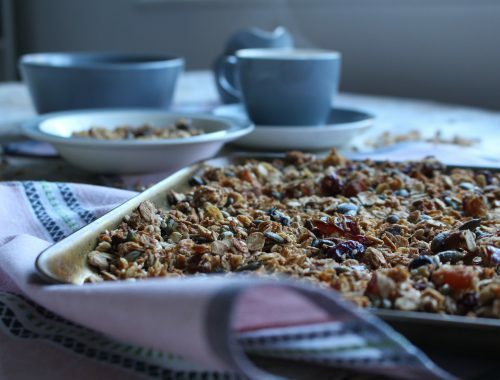 Oh these sound and look delish! 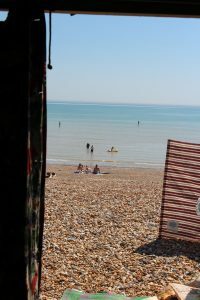 I love the idea of a beach bbq too! Oh my goodness this looks amazing! I’m definitely going to give this a try… what a great lunch to have at the beach. That looks lush! 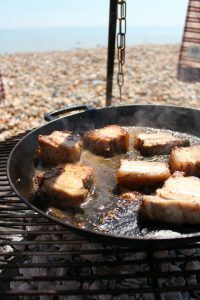 Pork belly is one of my favourite barbecue foods so I might definitely going to give this a try, maybe in the oven given the weather Wales is having at the moment. 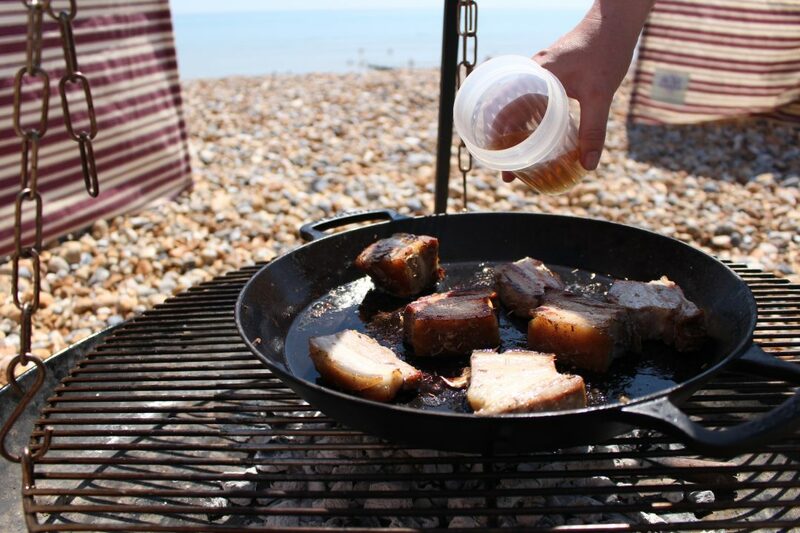 BBQ, Beach and beer in one go. That’s pretty awesome. Oh my word! That looks and sounds incredible. Consider this bookmarked. We are big BBQ fans in this house and are well aware of the pork/beer combo. Can’t wait to try it! What a great idea, your little beach area looks so cosy. 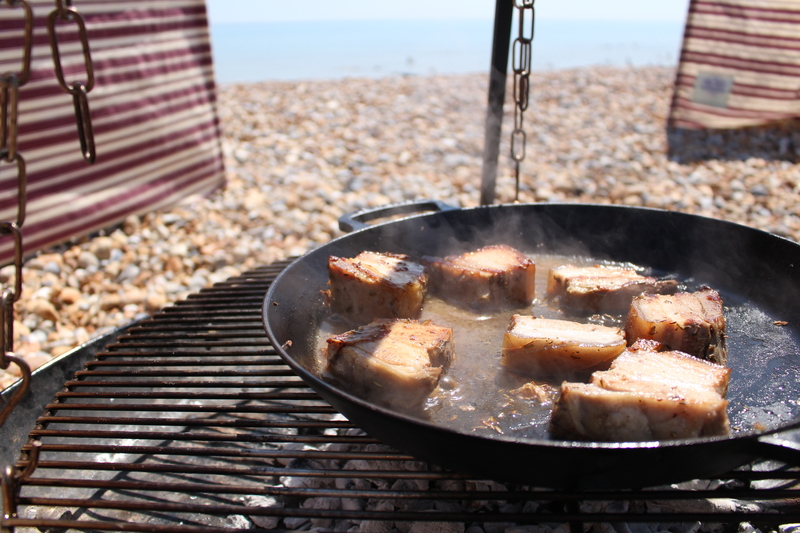 Beer, pork and beach = perfect! Oh my goodness, that looks and sounds really yummy! 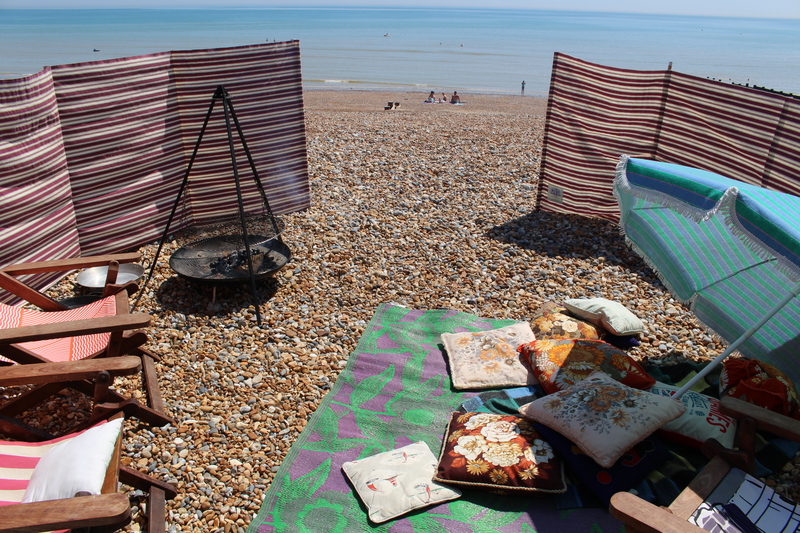 I love the cosy little corner you’ve created on the beach. How lovely! 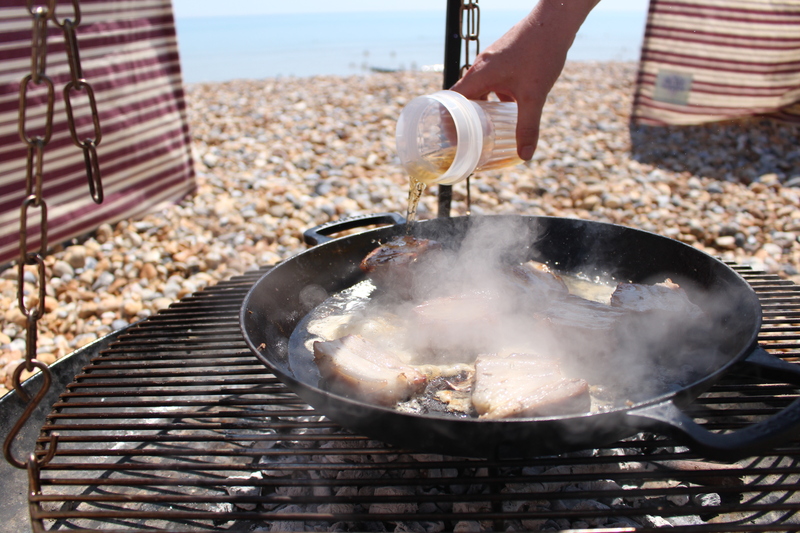 This is exactly the kind of thing I’d like to eat on a beach! 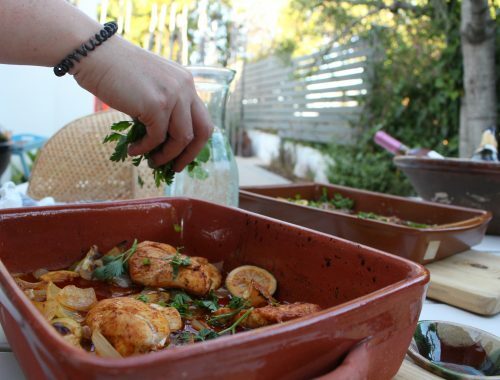 Great idea to cook the meat through too! Yum! I am not one for pork but that looks good! This looks so good and it is super creative I wouldn’t of thought to use beer before. This sounds yummy! I am pretty sure hubby would love this & with his birthday coming up I will definitely give it a go! 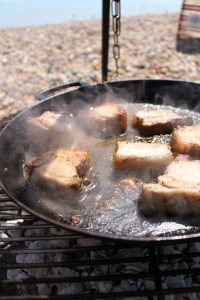 This looks like a great way to both add flavour and to keep the pork belly really moist as it cooks. Looks so good!